To help your child on the outside, start on the inside. For 14-year-old Krysta*, looking in the mirror can be painful. She’s overweight, bordering on obese, and her adolescent self-consciousness is sometimes unbearable. It seems like her mom monitors her every bite, so she hides treats in her room and buys vending-machine junk food during school hours. Her dad doesn’t bug her about her weight directly, but sometimes he makes negative comments about others who are overweight. She tries to diet, but her willpower never lasts more than a week or two, and any weight she loses quickly piles back on. Krysta’s mom, Sara, is worried about her. She wants her daughter to be accepted by her peers. She doesn’t want her to develop health problems, and she dreads the thought of her daughter facing rejection from young men or being discriminated against in the workplace in the years ahead. She hopes that if she reminds Krysta often enough about watching her weight, maybe it will sink in. Though she tries not to be too pointed, her frequent remarks such as “Do you really need another helping?” or “When you lose 10 pounds let’s go shopping for new clothes” are not as helpful as she assumes. Sara’s worries are founded and born out by research, which shows that overweight children and teens, especially those who are obese, are often stigmatized and bullied by their peers. Later on, they may experience rejection in the workplace and in relationships. They’re also more likely to develop diabetes and asthma. However, what Sara doesn’t realize is that her approach isn’t helping Krysta. In fact, it is diminishing the quality of her daughter’s family life. Krysta is not alone. Research shows that overweight children experience more negative family interactions than children of normal weight, including pressure to diet and even harassment about their weight and eating habits. All this adds up to lower life satisfaction, according to a recent BYU study by sociology professor Renata Tonks Forste (BS ’84, MS ’86) and former graduate student Erin L. Moore (BS ’11, MS ’12). They found that the more overweight a teen is, the lower his or her satisfaction with life will be. While teens of healthy weight reported feeling low about once a month, obese teens reported feeling low more often. They also reported being bullied more often and feeling less accepted by peers. “As the number of adolescents who are overweight or obese continues to rise, we can expect more and more unhappy teens,” says Forste, lead author of “Adolescent Obesity and Life Satisfaction: Perceptions of Self, Peers, Family, and School,” published in the July 2012 issue of Economics and Human Biology. Evidence is abundant that dieting doesn’t work. Dieting might get a short-term result, but it is not a long-term solution. Parents should not encourage a teen to diet, pressure a teen to diet, or prepare calorie-restrictive meals for a teen. These strategies create an atmosphere of family conflict and feelings of rejection. What does work, says Forste, is for parents to be informed about healthy eating habits, provide healthy food choices, and model healthy eating and exercise themselves. If you’re not doing what you hope your child will do, you’re not likely to be successful at influencing him or her toward a healthier body. Parents should also be alert to how they talk about their own bodies or other people’s bodies. If you’re overweight and make negative comments about yourself, your child will likely follow suit. If you ridicule others’ bodies or even overly focus on others’ body size, whether your comments are negative or positive, your children will notice and might apply your emphasis to their own sense of self. Forste notes that even if a child loses weight later, negative messages they receive during childhood can stay with them long into adulthood. It’s also helpful when parents encourage activity. Boys are now more likely than girls to be sedentary, says Forste, partly because they’re more attracted to computer games. Parents might need to limit “screen time” (TV, computers, tablets, smart phones, etc.) and provide structured opportunities for outdoor time, including activities that include the entire family. Here again, parents who are active themselves will have an easier time persuading their children to be active. Sometimes unintended cultural messages emphasizing appearance are sent to teens, especially girls, by youth leaders and teachers, says Forste, in the form of activities that include beauty advice or encouraging discussion that overly emphasizes dating and marriage. “A young woman can directly control whether she develops her athleticism or her academic skills but not whether she will be asked out on a date or will marry,” says Forste. Parents and leaders should focus on activities and discussions that best support teens’ developing identities. 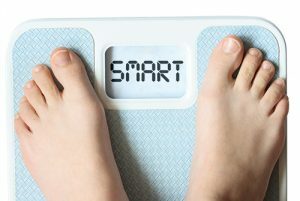 While teens can manage their body size to some extent, they don’t have control over how people react to how they look. Their peers, teachers, and others are likely to judge them negatively if they’re overweight, says Forste. Girls are especially vulnerable to feeling that looks are everything and are often unhappy about themselves because of their weight—or perceived weight. Thus Forste believes it’s important that parents help their children develop self-worth apart from their bodies. “Their sense of self needs to come from things besides their appearance—their worth should be found in their kindness, their spiritual insight, their talents, their intellectual abilities, or their athletic abilities,” she says. Forste believes that many fathers are not aware of how much they influence their daughters’ sense of self. Girls’ self-worth is shaped perhaps even more by fathers than by mothers: “Dads tend not to say a lot, so when they do say something it carries a lot of weight—for good and for bad. If Dad compliments his daughter on her skills and talents and not only on her looks, she will develop more confidence,” she says. Today’s teens have a more constant flow of information at their fingertips than any previous generation, and their knowledge can deceive adults into thinking they’re more emotionally advanced than they are. They might think their teens can manage on their own the messages about weight and appearance that constantly come their way. Social scientists conclude that more and more parents now believe their children should be “autonomous, competent, and sophisticated” by the time they’re adolescents—which is not a realistic expectation. Rather, now more than ever, teens need adult guidance as they grow toward adulthood. Popular culture and peers hold more sway with children than ever before, says Forste, and parents have to make an intentional effort to retain influence. As children get older, parents can help them sort through the more complex messages about values and self-image. Moms and dads can help daughters to identify airbrushing in photos and to discard messages that say their main value is their looks. Parents can also help their sons to recognize similar distortions about both sexes in the media. As parents consider how best to help their teens, D&C section 121 can be helpful. It reminds us that we can have influence only by persuasion, gentleness, meekness, kindness, and love unfeigned. “Coercion is not only anti-gospel, it doesn’t work,” says Forste. During the teenage years, when children are trying to find their identities and become autonomous from their parents, it’s especially important that they receive loving support and gentle guidance, not pressure and duress. * Krysta and her parents are composites of several real-life situations. Overweight teens report lower academic assessment from teachers than do teens of healthy weight. Overweight teens, especially those who are obese, have a harder time talking to their mothers. The study found no differences by weight in ease of talking to fathers. Obese girls and boys get about the same amount of negative feedback from others, but girls are more likely to report lower life satisfaction and overall lower well-being, perhaps because the cultural emphasis on thinness is greater for females. Sue Bergin is a chaplain for VistaCare Hospice in Salt Lake and Utah Counties.